In the hustle and bustle of the holiday season, it may be tempting to take a few short cuts. Fire Chief Scott Goldstein asks that you make sure that safety isn’t one of them! Christmas trees require special attention. 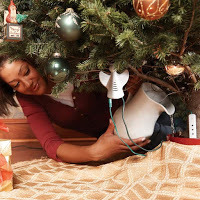 When selecting a tree, freshness is important. Check the needles to make sure they are green and difficult to pull back from the branches. If the tree has been freshly cut, the needles should not break. Tap the tree on the ground several times and notice if any needles fall off. If they do, the tree is probably dried out and could be a fire hazard. Water your tree daily and do not place the tree close to a heat source, including a fireplace, radiator, space heater or heat vent. 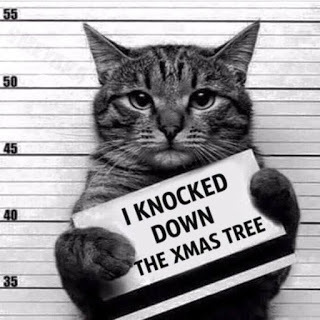 Make sure your tree is in a sturdy holder and can’t be knocked over by pets or children. Using extension cords? Overloaded extension cords and outlets can present a serious fire safety hazard. 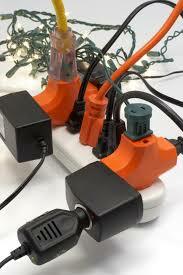 Make sure that the extension cord is suitable for the electrical “load” needed. Do not place cords under furniture or rugs and never plug two extension cords together to increase the total length. Demanding too much power from an extension cord risks overheating and fire. Be sure to read all packaging and instructions carefully when purchasing an extension cord and ensure it is UL listed. Holiday lights. Indoors or out, only use lights that have been tested by an approved testing laboratory for safety such as UL. All lights should be inspected for frayed wires, bare spots, broken or cracked sockets or excessive wear before plugging them in and discard any damaged sets of lights. Avoid stringing more than three light strands together. 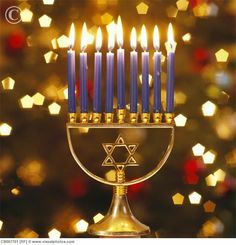 Candle fires peak during the holiday season. Most holiday candle fires occur when people leave burning candles unattended or place candles too close to holiday decorations. Keep candles in sight, in a secure holder and on a safe surface away from children and pets. Consider using flameless, battery-operated candles making them much safer. Give space heaters space and ensure at least a 3-foot clearance from anything that can burn. Do not overload the electrical circuit or use extension cords with space heaters. Always stay in the room while a space heater is operating and turn it off when leaving the room or going to sleep. Follow all manufacturer recommendations and make sure your space heater meets all safety standards. Cooking is a top cause of holiday fires. Be alert, focused and stay in the kitchen when cooking. Keep things that can catch fire, such as oven mitts, wooden utensils, food wrappers and towels away from the cooking area. 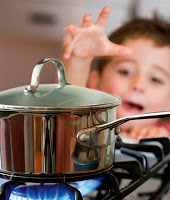 Make sure kids and pets stay at least three feet away from the stove and oven, hot food, and liquids to avoid serious burns. Disposing of your tree – never put tree branches or needles in a fireplace or wood-burning stove. When the tree becomes dry, discard it promptly. The best way to dispose of your tree is by having the County’s recycling service pick it up on the designated day(s). Do you hear what I hear? 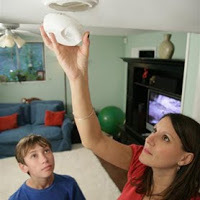 Having working smoke alarms DOUBLE your chances of surviving a fire however smoke alarms do not last forever. If your alarms are 10 years old or older, they need to be replaced with new alarms. Bottom line: don’t wait for a fire to test your smoke alarm.